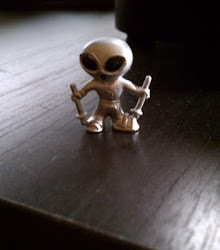 Last spring, I investigated a pretty interesting Close Encounter of the 2nd Kind for MUFON, and blogged about it here. It was a pretty big deal at the time, because it involved a really weird object flying across a highway in front of a car and causing the car's dash lights to flicker. 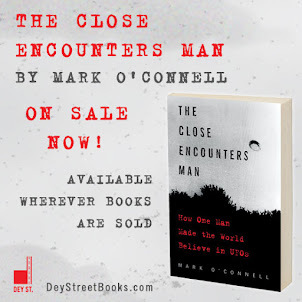 Because it was a UFO causing physical effects on the surrounding environment, it qualified as a CE2K, and because it was one in a series of Close Encounters that I had been assigned to investigate last spring, I officially dubbed myself "The Close Encounter Kid," a title I still hold. Anyhow, because my investigation revealed a possible magnetic anomaly with the car several days after the encounter, the powers that be at MUFON ordered that the car's oil should be drained and the oil and the oil filter should be sent to a MUFON-associated research lab for analysis. Was the oil radioactive? Did it contain metachlorians? Did they use Valvoline Max Life? We needed to find out! Well, now, almost 5 months later, we have the answer: negatory. 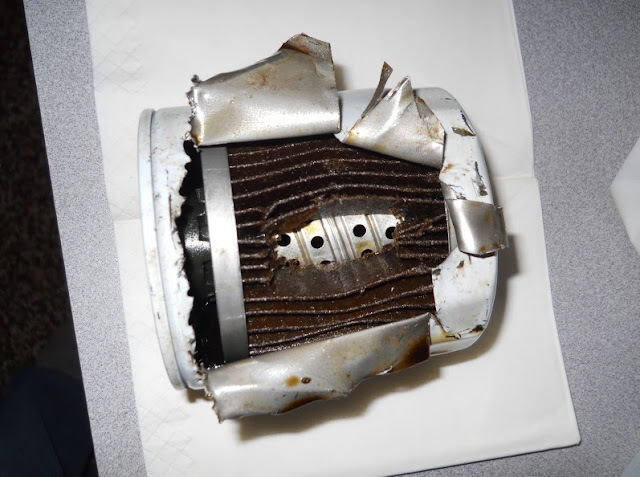 An Arizona car which also was close to a UFO in 2011 was found to have sodium nitrate in the oil filter. There is a special form of nitro-oxidation produced from the oil reaction with NO­­­x from combustion. Organic nitrates are mostly formed. These were not found in the Arizona vehicle. Only inorganic sodium nitrate. This was NOT formed by the nitro-oxidation process. · No unusual materials are detected in the used oil filter from the Wisconsin contact vehicle. The used oil from the oil filter of the Wisconsin car has normal additive depletion. There is no significant oxidation. Isolated particulates from the filter are composed of calcium oxalate, and inorganic sulfate(s) and possibly inorganic carbonate. No sodium nitrate is detected such as in the previous Arizona car contact event. · Reference used oil filters from three cars that had oil changes were examined to verify that the above particulate components are normal. These were from a Toyota, Suburu Outback and Ford Focus. The infrared spectra of these solids are similar to each other as well as the solids from the Wisconsin vehicle. They all show calcium oxalate, sulfate(s) and possible inorganic carbonate. Two of the filters (Ford and Suburu) also have small amounts of silicone lubricant which is a very common contaminant. Sadly, some oil filters must be sacrificed in the search for truth. By the way, they did indeed use Valvoline Max Life. With the limited time we have here on Earth, you have decided to analyze an old oil filter for what exactly? This wouldn't bring us one inch closer to answering the UFO question. It wasn't my call. Trust me, I thought it was goofy at the time, too, but if by some long shot something odd had appeared in the oil or the filter that could have indicated that it was affected by an outside physical force... it could have pointed researchers in an interesting direction. Well according to a review from whatcar.com The Jimny is cheap and rugged and has decent off-road abilities, but its handling and ride are awful and it lags behind competitors in too many ways to mention. As a heavy-duty reader of the Hill case, I have to ask what exactly were you measuring with a compass? Also, is this SOP in MUFON investigations that involve cars? As a control, did you walk around non-CE cars with a compass? What about those of the same make and model as your CE2 car? I was thinking the other day that sightings involving drivers were very common back in the day but practically non-existent now. I have no data, just an impression. Any thoughts? any damage to our car from the beeping sounds." Webb's 1961 report also does not mention spots. It does say, "...there were no electromagnetic disturbances..."
In fact, other than the Hills, no one was on record as having seen these spots until the year 2000! That person is Kathleen Marden, Hill niece and abduction book author. And no one is on record as having witnessed the compass spin other than the Hills. In his 1965 report, Webb simply took their word for it -- he interviewed no one about it, not even Janet Miller, though he knew she suggested the compass gambit. Hm! Curious. And guess what? No one knows where the kidnap car is! It just disappeared without comment. No one has mentioned this curious fact in 50 years of UFO writing (not that I've yet found). Strange, eh? Wonder what we should make of all that? Hey Terry, that's a lot of questions! I believe this is SOP where a car is concerned. I was instructed to look for "magnetic anomalies" surrounding the car, and so I did. Unfortunately I left on vacation before I could so anymore, so the investigation was completed by another guy. I did not do a comparison, and I don't think he did either. When I get a chance I'll take some readings on similar vehicles and let you know.